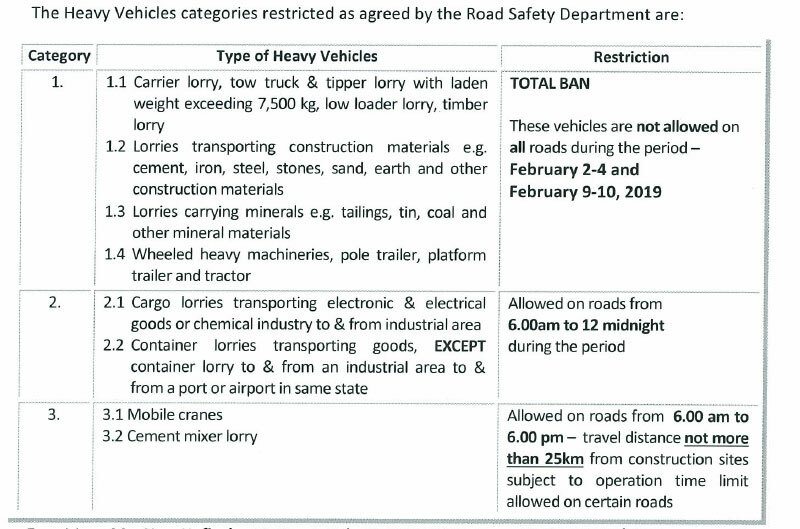 Road Transport Department (RTD) announced a ban on heavy vehicles from using all roads for Five days during the Chinese New Year in 2019. The ban will take effect on 2, 3, 4, 9 and 10 February, 2019. The objective of the restriction is to reduce accidents which caused by heavy vehicles and keep the traffic flowing.